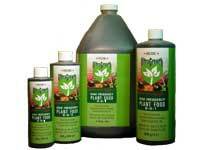 Organic fertilizer is a good way to responsibly enrich your garden soil. Isn't all fertilizer, organic fertilizer? The term fertilizer does not necesarily mean something is organic. Not all fertilizer is good for the environment. Man-made fertilizer can reak serious havoc on the soild and water and have very far reaching repurcussions. Probably farther reaching than any other chemical we put in our yards. The problem lies in the amount of nutrients sprayed into the soil, nitrogen and phosporus being the main components. Organic fertilizer carries these same nutrients just in much greater extremes than you would evefind occuring naturally. Of course nutrients are wonderful for plants, but as with just about everything there can be too much of a good thing. That's why organic fertlizer is so much better, it gives to soil and plants only what they need. What's wrong with too many nutrients? The nutrients that aren't used by plants, flowers, and crops during the growing season are washed away with the rains into the water drains and down into the streams, rivers and lakes and eventually into the ocean. Yes the fertilizer you place on you lawns in Missouri will find it's way to the gulf of Mexico. So what? Yes, I hear you guys looking puzzled. So the problem is that these nutrients are taken up by algae in the water, creating algal blooms in rivers, stream and lakes. These algal blooms deplete the water of oxygen and light , adversely affecting fish and other aquatic life. In the ocean they cause algal blooms as well, with affects that are just as dire. In the ocean it's red algea and this red algea is poisonous. It moves across the surface of the ocean like a great red blanket, thus its names: red tide. These will help your new rain garden grow, while protecting the outlying habitats from harm. You can of course go the smelly route, seeding your gardens with manure. This is the ultimate organic fertilizer. Straight from nature. Or you could buy yourself a mulching mower that will shred leaves and grass into small enough particles that they will sift through your grass to the soil below and biodegrade there. 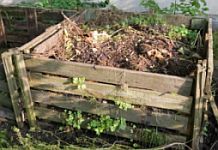 You could start your own compost bin with household and yard waste. Can't stand the smell of manure or the work of a compost? There are more natural commercial fertilizer to use if composting and manure ust aren't for you. These organic fertlizers are specifically developed to deliver the appropriate nutrients to your gardens, trees, lawns without leaving a residue to wash into the water table. There is such as thing as nature's clean up crew and earthworms are one of the most valued members. Earth worms regularly breakdown organic material into usable compost. Earthworm casts are sold commercially as a wonderful alternative to conventional store brand fertilizers. OR you can introduce them to your garden if it doesn't already have them.